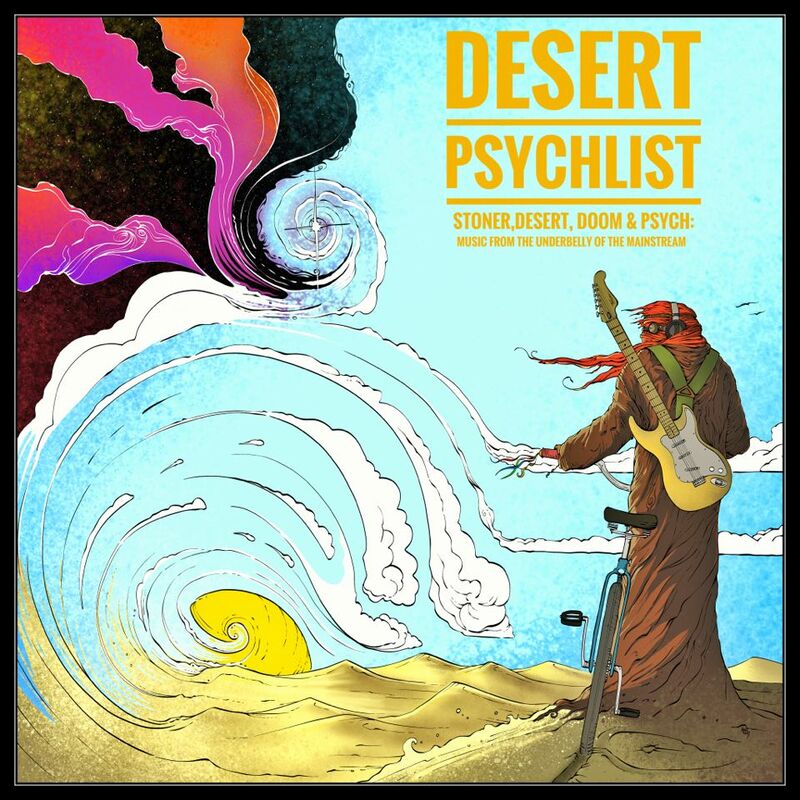 Hardly has Desert Psychlist finished reviewing one Polish band before another one comes knocking at the door demanding our attention and on the strength of their twisted stoner metal grooves ,,,getting that attention! 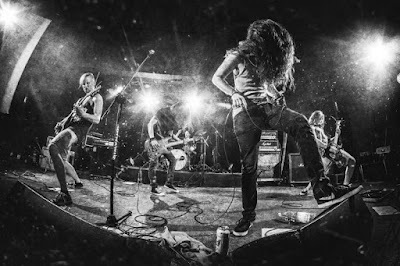 Sun Dance hail from Krakow, Poland and consist of Jan Gajewski (vocals), Jacek Szczepan (guitar), Adam Gajewski (guitar), Kacper Półchłopek (bass) and Jakub Tokarz (drums), five guys who first came to our attention with their 2014 debut EP "Valley of Fears" a release that this reviewer described on their Bandcamp page as sounding like "Rage Against The Machine meets Down". This year the band return with "Manitou" (releases 10th December 2017) an album that, although still retaining faint traces of the metallic hip-hoppery that informed their first release, is an album that leans slightly more towards the heavier end of the stoner/psych spectrum. 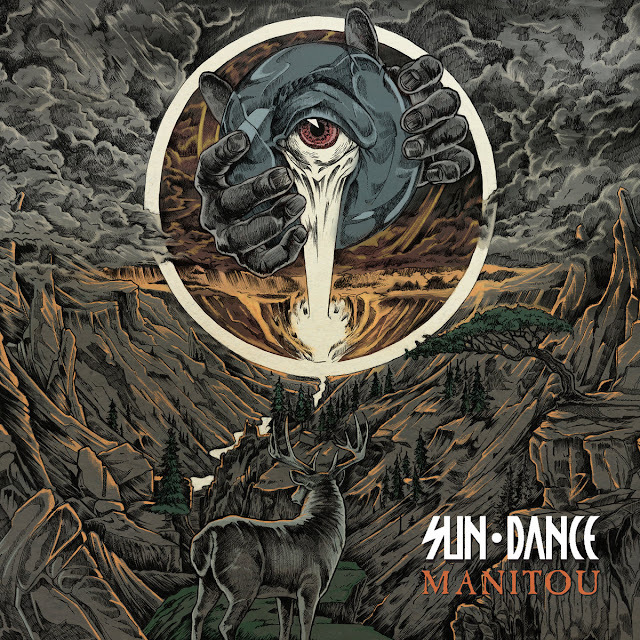 Sun Dance, with "Manitou", deliver a true masterclass in how to evolve as a band, the slightly "street vibe" the band adopted on "Valley of Fears" has taken a back seat on this release and been replaced by a more forceful stoner feel, still as metallic but with a stronger focus on dynamics and texture. The slightly rap-like meter of the vocals on the bands previous work, although good, nonetheless had an air of gimmickry about them, here though they have been jettisoned for a more straightforward vocal approach with a mixture of strong powerful clean and throaty harsh tones utilised to superb effect. Musically the band are on top of their game executing scorching riffs and solo's over a diverse array of rhythmic patterns, in places even getting a little bluesy and anthemic ("Join The Circle") and lysergic ("Into The Sky"), mixing these elements up with huge swathes of fuzz and distortion and enhancing them with those, already mentioned, big vocal tones.